Vichy Pore Purifying Clay Mask immediately unclog pores and purify the skin by penetrating deep into the skin's surface to immediately eliminate excess sebum and impurities. 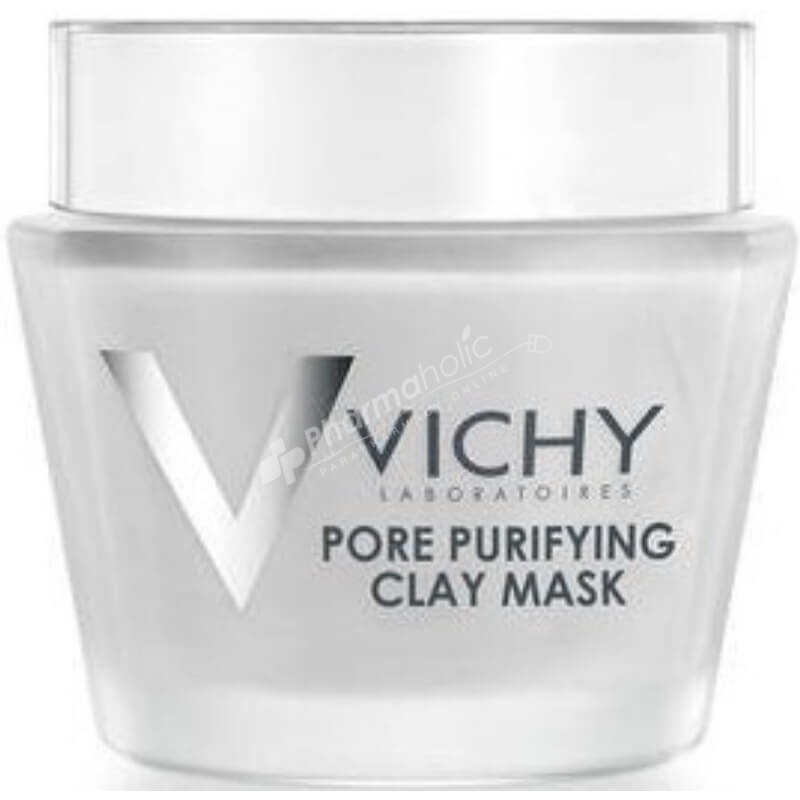 Vichy Pore Purifying Clay Mask immediately unclog pores and purify the skin. The skin is left feeling soothed and soft to touch. This mineral rich formula infuses two fine white clays to penetrate deep into the skin's surface to immediately eliminate excess sebum and impurities, leaving skin feeling purified and cleansed. Also enriched with two plant extracts , Vichy's Clay Mask instantly treats damaged and fragile skin, leaving it feeling soothed and soft to the touch. - Tested on sensitive skin under dermtological control. - Formula for sensitive skin. - Enriched with Vichy Mineralising Thermal Water.